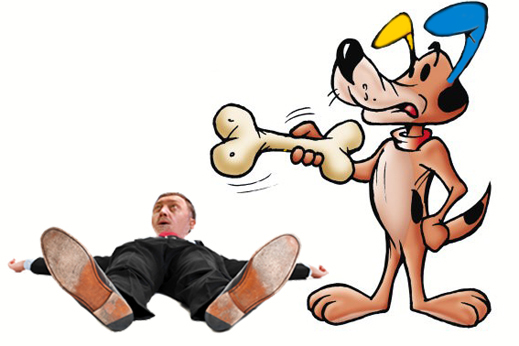 In Ukrainian villages they still say a dog won’t cry if you beat him with a bone. In the Zaporozhye region of eastern Ukraine, there are exceptions – bones on which even dogs fear to choke. The Zaporozhye Alumina and Alumimium Combine (ZALK) is an example. Owned by the Russian aluminium monopoly, Rusal, it has been closed since 2009 because Rusal judges it is unprofitable to operate. That has been a bone of contention between Rusal and the Ukrainian authorities for almost a decade. This week, the State Property Fund of Ukraine announced it has begun “enforcement proceedings by the executive service after the decision of the highest court to return the [ZALK] shares to the state. We are following the process.” The Ukrainian Supreme Court ruled on March 11 to renationalize Rusal’s shares in ZALK. Oleg Deripaska (lead image, left), the chief executive of Rusal, says through a spokesman he will appeal the Supreme Court ruling in the international courts. Rusal is “a bona fide purchaser of the plant”, the company spokesman told a Moscow wire service. 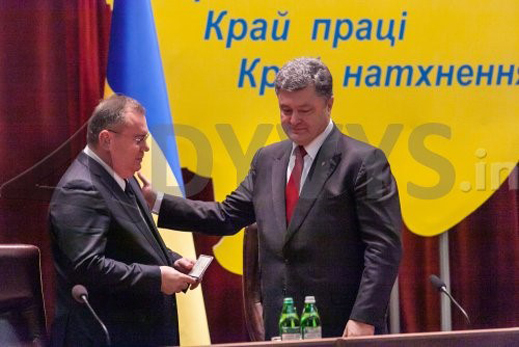 Ukrainian President Petro Poroshenko appointed a new governor for the Zaporozhye region in February. He is Valentin Reznichenko (below left). Before that Reznichenko had been in the media business as an executive at Ukrainian Media Holding (UMH), when it was owned by Boris Lozhkin. He sold out in 2013 to the Vetek group of Sergei Kurchenko, a member of the circle around then-President Victor Yanukovich. Since Yanukovich’s ouster in February 2014, Kurchenko has been on the run, and on US and European Union sanctions lists. 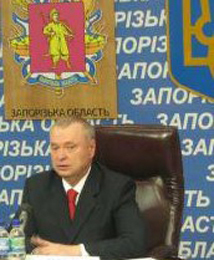 Reznichenko was rehabilitated by Poroshenko, and in August 2014 given the job of running the state regulator of broadcast frequencies. Following Deripaska’s threat to take the renationalization of ZALK to the international courts, a spokesman for Reznichenko confirmed yesterday that the governor hasn’t changed his assessment. The prospectus acknowledged the government’s $140 million claim was still pending; the financial report for the year provisioned for $14 million as a possible liability. First commissioned in 1949, ZALK started with name-plate capacity of 235,000 tonnes of alumina, 112,000 tonnes of aluminium. In 2006 it produced 262,000 tonnes of alumina, 113,000 tonnes of aluminium; that was as much as it could produce at the time, Rusal said. In the first six months of 2009, ZALK’s production was cut back to 29,000 tonnes of alumina, 36,000 tonnes of aluminium. Rusal explained: “in the first half of 2009 [the cutback] reflects the closure of smelting capacity by the Group to address the consequences of the global economic downturn and the deterioration of the aluminium market.” At the time, Rusal calculated the cash cost of producing aluminium at ZALK to be $2,240 per tonne – that was 60% higher than the average for the entire group. Alumina production was not restarted, and neither was an associated facility, the Glukhovsky Quartzite Mine. No more is reported of ZALK in Rusal’s annual reports. In May 2011, Rusal acknowledged it had been hit by an appeals court ruling cancelling its ownership of the plant. 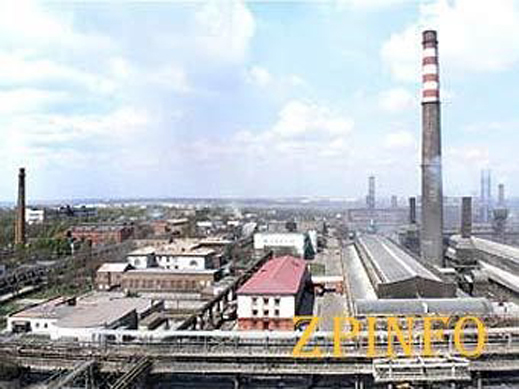 “In connection with the statement of state prosecutor’s office of Ukraine,” Rusal claimed, “the current decision has not come into force the smelter is controlled as before by UC RUSAL and there are no talks about nationalization. This situation refers to the long-running legal process, the yesterday ruling is only one of its stages. UC RUSAL won this case at the previous level of jurisdiction. Company will exercise its right to challenge the ruling in Ukraine’s Supreme Commercial Court.” For that story, click here. A visit to ZALK by the regional governor, Alexander Peklushenko (right), in February 2012 promised “to harmonize the process of negotiation between the representatives of the owner [Rusal] and the government. Such an order I received from the Prime Minister of Ukraine. The situation is complicated. But the information that I and the Prime Minister and the Minister of Energy, the Ukrainian side is set up to develop an overall plan to revive and modern production. I support the idea of a plant in Zaporozhye worked – on a new platform, environmental and economic.” The negotiations came to nothing. For the past four years the company’s regular notices to the Hong Kong Stock Exchange haven’t kept up with the Ukrainian court moves to take ZALK back. So far as Rusal shareholders have been informed, ZALK remains closed. Rusal’s financial reports from 2009 to 2014 identify ZALK as a Rusal subsidiary, but they do not disclose its losses, debts, or the writedown which has been booked for the production halt. Why Deripaska would spend substantial funds in litigation abroad to recover the shares of a unit which has deadbeat status in Rusal documents has not been explained by the company. The answer, Rusal insiders believe, is that Deripaska is afraid that if ZALK is let go, the government in Kiev will go after the much more valuable, and vital Ukrainian asset in the Rusal production chain, the Nikolaev Alumina Refinery (NGZ is the Russian acronym). For Rusal’s claim that everything was normal at Nikolaev, in southeastern Ukraine, as the civil war commenced last March, read this. For a fresh assessment of the threat to Rusal’s position at NGZ last month, click. Last week Deripaska admitted for the first time that the Nikolaev refinery (NGZ) is now a problem. “We now have the most expensive plant in the system, but to close it we have no intention. “ He added that gas to fuel the energy-intensive refining process converting bauxite ore into alumina, a feedstock for smelting into aluminium, costs $340 per thousand cubic metres. By comparison, Rusal’s alumina refinery at Aughinish in Ireland – bought from Glencore – costs 41% less at $200 per thousand cubic metres. Dreripaska said the Kiev government’s attempts to obtain gas by reversing the flows from countries to the west weren’t leading to lower prices for NGZ. He was talking before the International Monetary Fund (IMF) released its staff report on Thursday. This recommends steadily rising gas prices across Ukraine. According to the IMF, “for 2015-20, projected gas prices are: $287, $301, $310, $323, $326, and $326 per tcm, respectively. Naftogaz is currently disputing the arrears to Gazprom. For program financing and risk assessment considerations the potential liability to Gazprom was estimated using US$385.5 per tcm in 2014:Q2” (page 49). Deripaska is claiming: “When gas prices in Ukraine will start to decline, [Nikolaev Alumina Refinery] will be more cost-effective.” The IMF projections indicate this is wishful thinking. Deripaska is keeping these problems out of the Hong Kong market. But last Thursday the company posted a notice revealing it is suing itself over electricity prices in Siberia. Since last October, the company has now reported, the Krasnoyarsk Hydro-Power Station (KHPP), which is controlled by Deripaska’s holding EN+, has not been supplying electricity “in the amount required” and “pursuant to the Contract” to the Krasnoyarsk Aluminium Combine (KrAZ), one of Rusal’s largest smelters. Lawyers for Deripaska’s left hand and lawyers for his right hand have gone to the Krasnoyarsk Arbitration Court to fight it out.